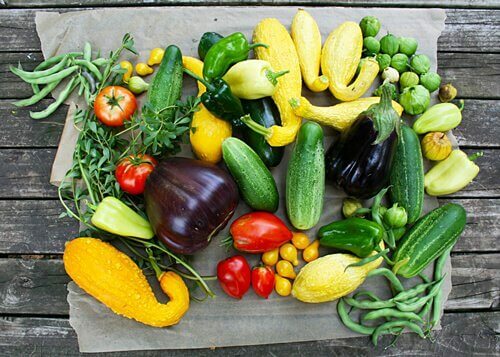 Just like clockwork, late summer comes knocking with an explosion of fresh vegetables. This is a typical late summer harvest at my urban homestead. I do my best to use as much as I can in dishes and the rest I try to put up for the winter. 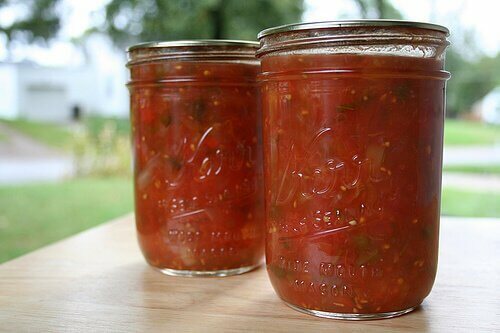 Jars of salsa, enchilada sauce, peppers, and relish line my pantries while I wait to soon be inundated by apples, pears, and grapes. I’m blessed to have most of what I preserve growing at home as well as friends and family that share the fruit from their trees. However, there are many times I just don’t have a big enough harvest to preserve; times when fruit trees have been picked by quicker fingers than my own. In these situations I’ve been known to source chemical free fruit and vegetables in bulk at frugal prices or even free. 1. Get to your farmers market early or right before they are going to close. Early in the morning some vendors will have discounted prices on vegetables that are ripe and ready for eating – yesterday. They are perfect for canning or freezing. Also, stick around until the end of the market where you can negotiate prices on bulk produce that hasn’t been sold. This is a topic I’ve written about a few years ago. Next time your out for a jog or driving, take a look at the trees around your neighborhood. You’ll be pleasantly surprised to see many fruit trees that you hadn’t really noticed before. Keep an eye on those trees and take note if they’re being harvested. If not, drop by and ask if anyone is harvesting the apples. Many times the owner is more than happy to have someone stop by to pick the fruit from their trees versus having it rot on the ground. This is a great opportunity to meet your neighbors and get free fruit to put up for the winter. Last year I visited my first Amish produce auction. It was something I learned about from a fellow blogger and let me tell you – the experience was so much fun. It was neat to see so many horses and buggys and to be in a facility filled with fruits and vegetables that the Amish have grown themselves. There are weekly auctions selling according to what they are currently harvesting within the season. It’s a great opportunity to buy bulk, local, produce at phenomenal prices. 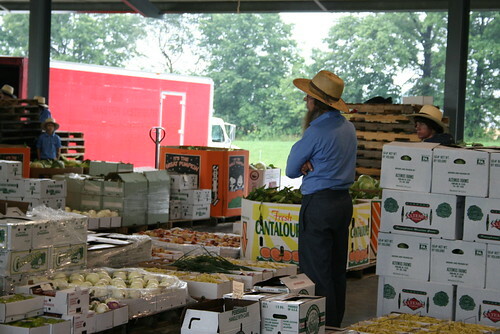 To get a better idea of what an Amish produce auction is, check out this youtube video. If you’re lucky enough to have a drop point in your home state, you’ll LOVE Azure Standard. 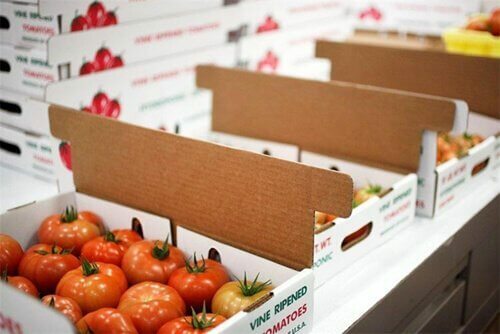 Azure Standard has the best prices in bulk buys on organic produce. During this season, I enjoy buying bulk organic peaches to preserve from them. At $25 for a 22lb box… you just can’t beat that. In order to purchase through their internet store, you’ll need to first find out if they have a drop point near your city. Give them a call and ask to join a group near you. You’ll then order, online, once a month and pick up at a designated drop point. I’ve seen this done through Annette Cottrell of Sustainable Eats. Her group buys are simply amazing. She contacts local farmers directly. She then gets a large group together to buy their organic produce in bulk which is delivered and picked up on one day. There group then cans and preserves their bounty together. How amazing is that… a true community at heart. As you can tell there are quite a few ways to get your hands on bulk produce at great prices to preserve for your family. Do you have any ways of sourcing bulk produce, frugally, to preserve? We’d all love to hear about it. We have several local Amish and Mennonite food resourses. I was “gifted” with two boxes of tomatoes. Unfortunately, local friends did confirm that these farmers will and do use pesticides. Be sure to ask about the produce you purchase. Bulk Natural Foods is a co-op that brings in minimally sprayed and organic fruits (and sometimes vegetables) by the semi from orchards all over the U.S. Our members pre-order what they want ahead of time and pick up from any of 50 or more pick up locations. The fruits themselves are economical because they’re packaged in bulk bushel or half bushel boxes, but the best part is the homegrown flavor you get when the fruit comes directly from the farm. Check us out at http://BulkNaturalFoods.com. We joined a gleaning program. We go out and pick from farmers who donate. It only requires $20 annual fee (we get WAY more than that back in produce) and that we donate a percentage of what we pick to the local senior center. The rest, we are free to do with what we will! Donate it, can it, etc… We’ve gleaned carrots, potatoes, asparagus, corn, strawberries, apples, pears, watermelons, cantaloupes, honeydews, apricots, concord grapes, I can’t think of anything else off hand! Wow Ailene. I’ve never heard of that. I’m going to look into gleaning and see if any farms locally to me offer that. Thanks for sharing! I have been shredding and zucchini from farmer’s markets since my harvest wasn’t what i wanted. I tried my hand at tomato sauce this week too. I bought the same thing of peaches from Azure. AMAZING price! Can’t wait to get started on the apples! Some people get just way too much produce at the end of summer and give away the extras. So let your gardening friends know you’ll take any extras off their hands. You could offer something in return of course. Labor is one thing that is always appreciated. Clean up those late weeds or whatever your best at. Marcy – that’s a great idea! I love the idea of a bulk group produce buy! I wish we had one of those around here. Hmm… maybe that would be a good idea for my future endeavors, lol. It is just so hard to find good, chemical-free sustainable food around here and that is surprising considering I am in AR, known for agriculture! I had never heard of an Amish produce market! That sounds like so much fun! I WISH we had Azure Standard here in NC! Maybe one day! How do you put up your enchilada sauce? Do you can it or freeze it? I haven’t been able to find directions on this or green chile sauce. Great ideas, Diana! We have several Amish families that sell at our farmers market. I’m going to ask if they know about a local produce auction. I also love the idea of bulk group buys and canning together. That would make canning so much more fun! With food prices rising it’s so helpful to share info with other frugal minded women. I have some additional produce saving tips in my latest post, and will also be posting Part 2 of the Guide to Free and Cheap Produce next week. We don’t have Azure Standard here, but we do have Bountiful Baskets (bountifulbaskets.org) which is quite similar. I added a link to this post in Part 2 of Guide to Free and Cheap Produce that will be published next week. Group buys for produce really can be excellent. 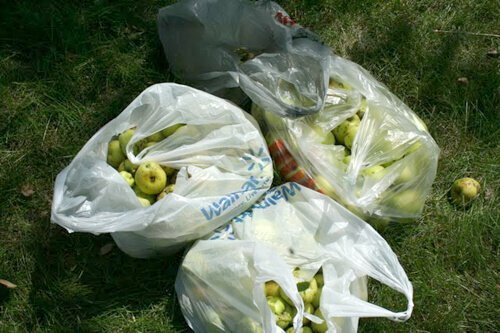 For a couple years, we were blessed to be able to join in one with my MIL in Washington and we got tons of pears and apples for preserving at some awesome prices. For me, the best prices come from driving out to local farms (ie. within an hour or less of my home) and calling ahead to make sure that they have the large quantities I am looking for. I usually find these farmers either through our local farm guide (they have a website and put out a small catalogue each year) or more recently, through Craigslist. The other option I use (other than my own garden) is my favorite local produce market, which sells in case lots of various sizes at discounted prices. I can’t always get unsprayed or organic (though often I can) but at the very least, it’s local and seasonal. I also wanted to say that many people think the Amish are organic…they are not. They do use sprays on their fruits and veggies. Definitely ask questions! Just copied your recipe for raspberry jam and since I have blackberries was wondering if I could sub them for the raspberries. These are such amazing options, what blessing! Unfortunately where I live I do not possess most of these options at all. I do the best with what I have. This year means even more so that way. Wild blueberries are almost non existent this year, but I was given money to pick some commercial ones at a farm when visiting others (normally it would be way too far to drive) and we brought them back in two coolers full! Not organic, but the best I can do. Better that way than nothing! Same goes for tomatoes this year. Our local discount store has them on half a bushel for $6.99 and that is the cheapest I’ve seen them. Not organic, but at least they are grown in my country and cheaper than buying during the year. When I can, I love to get organic, but when there is no option or its too much money, I go with what I can. I figure its better to get fruits and vegetables than nothing. Unfortunately Azure Standard does not have a nearby drop off site where I live 🙁 (Florida) Does anyone know of any similar company that is in my area. Thank you! Unfortunately, Azure Standard does not have a drop off site in my area (Tampa Bay area, Florida) Does anyone know of a company similar to Azure that is available in my area? Thanks for any ideas! !